From Small Departments, to an All Hands Event – the participants that walk out of this team building juggling workshop will operate with the power and synchronicity that you imagined when you hired them. Our goal is that your team never sees a problem as anything more than a brilliant opportunity to juggle the situation into the next big product, venture, or solution. We hope you will enjoy the introduction video below. Thank you for visiting. 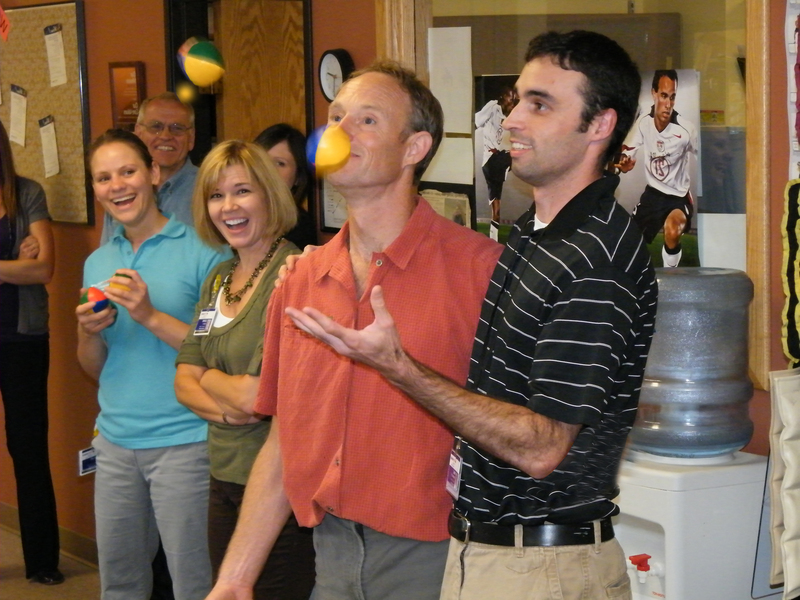 “Henrik’s team building juggling workshop, “Learn by Dropping the Ball”, was exactly what our team needed”.